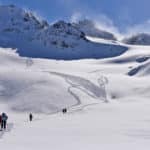 Take a deep breath and enjoy the beautiful scenery during this 4-day snowshoeing tour in the Silvretta Alps with IFMGA-certified guide Andreas. 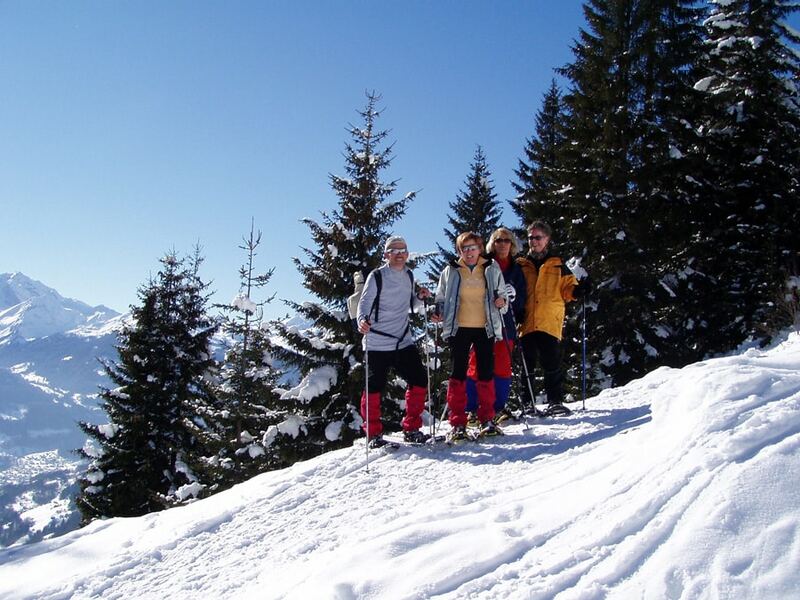 Let your snowshoes take you to the most stunning landscapes along the border between Austria and Switzerland! 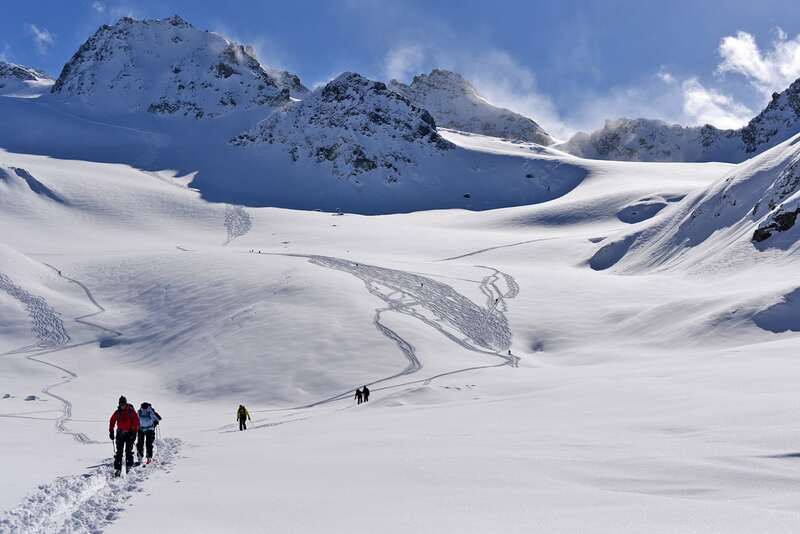 During this snowshoeing expedition in the Silvretta Alps you’ll get to enjoy 4 days of the most perfect quiet and stillness in an incredibly beautiful mountain environment. 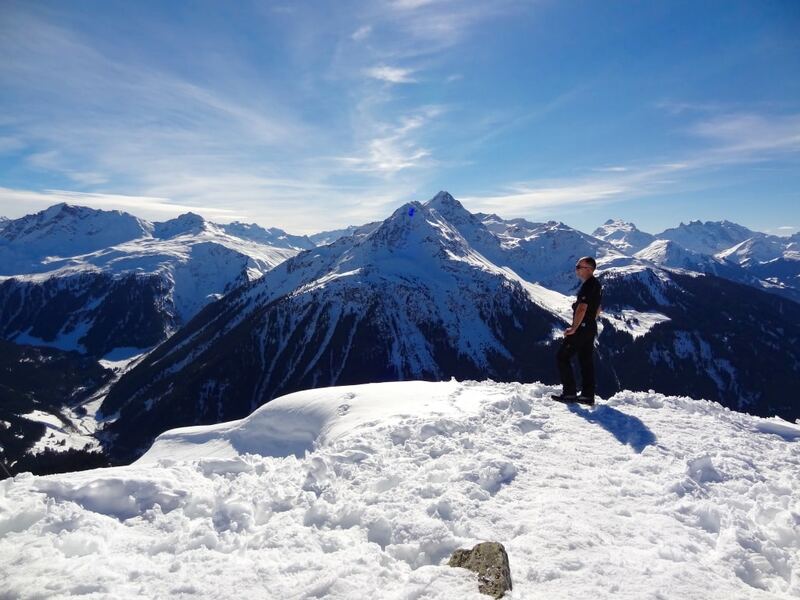 The ascent and descent of the world-famous Piz Buin will be the highlight of your trip! 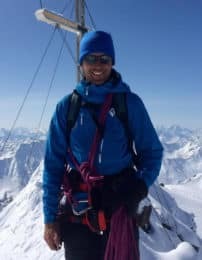 You’ll get to see some incredible crevasses and ice formations on the way up to this 3,312-meter peak. We will be staying in some of the best mountain huts in the Alps (Wiesbadener hut, Silvretta hut). There will be great food and lots of beer. We’ll also get to share some unforgettable moments with the group! 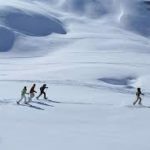 I can take a minimum of 3 and a maximum of 6 participants on this snowshoeing tour. 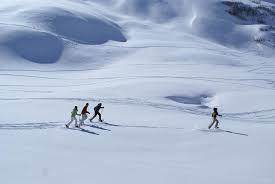 Additionally, you need to take into account that you need to be able to comfortably hike during 6 or 7 hours a day to enjoy this expedition. 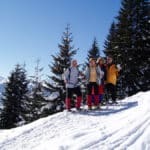 If you’d like to check out another of my snowshoeing expeditions, make sure you take a look at my 4-day snowshoeing tour in the Kitzbühel Alps. It is a little less demanding than the Silvretta Alps expedition but the scenery is just as amazing. 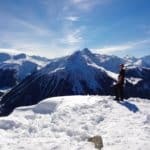 Join me on this snowshoeing tour along the Austria-Switzerland border for 4 days you will never forget. So contact me and we’ll start planning your trip!